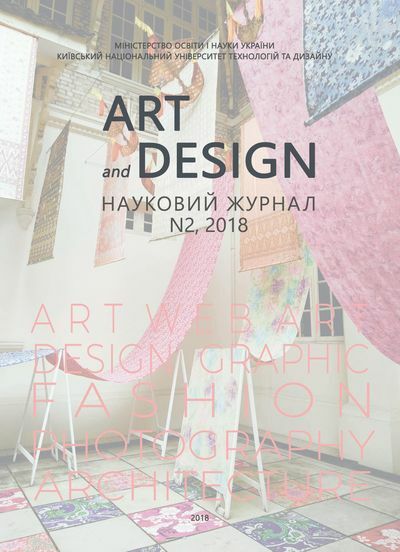 The magazine "Art and Design" is a peer-reviewed scientific journal with open access, intended for the publication of original, innovative, newest and high-quality scientific articles. The press accepts articles that have not been published before and are not considered in other editions, but also have a fundamental scientific, theoretical and practical significance and are the result of original scientific research. ISSN: 2617-0272 (Print), e-ISSN: 2617-0280 (Online). Periodicity - 6 times/year. Publication languages: Ukrainian, Russian, English. 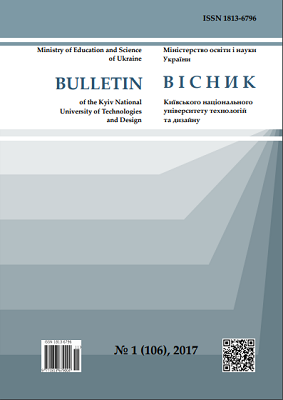 The Scientific journal «Bulletin of the Kyiv National University of Technologies and Design» (Visnyk Kyivskogo natsionalnogo universitetu tekhnologij ta dizajnu) is the professional Journal with original papers focusing on scientific and technical subjects of theoretical and practical investigations, developments in production processes, machinery, treatment, dyeing, finishing, testing and use in relation to all aspects of textiles. We welcome previously unpublished papers form any part of the world, from all interesting studies that report on substantial original researches as well as position papers discussing ideas and concepts. ISSN 1813-6796. ISSN-online: 2617-9105. Periodicity - 6 times/year. Publication languages: Ukrainian, Russian, English. Scientific journal “Bulletin of the Kyiv National University of Technologies and Design. Series: Economic sciences” is a peer-reviewed open-access journal aimed at publishing original innovative, novel and high quality research papers. Journal included in the list of scientific professional publications of Ukraine, in which can be published results of thesis for the degree of doctor and candidate of sciences: Order of the Ministry of Education and Science of Ukraine from 18.12.2018 number 1412 (Annex 10). Category B. Economic Sciences. Specialties: 051, 071, 072, 073, 075, 076, 241, 281. ISSN: 2413-0117. Frequency: 6 issues per calendar year. Languages: Ukrainian, Russian, English. Journal is an open access peer-reviewed journal dedicated to promoting scholarly exchange among academic researchers and industrial innovation in the field of fashion, textiles and apparel industry, related fields. This is the most innovative academic journal in Ukraine that facilitates active exchanges between researchers and practitioners. 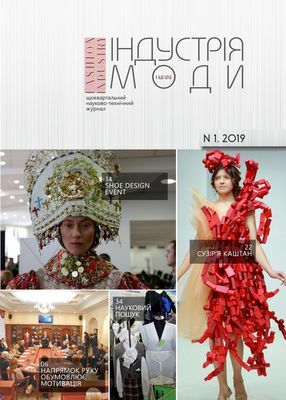 The Fashion & Textiles Industry Journal published by the Kyiv National University of Technologies and Design. It was launched in 1921. Professional registration: Order of Ministry of Education and Science of Ukraine № 374 dated 13.03.2017. ISSN: 0135-230X. Periodicity - 4 times/year. Publication languages: Ukrainian, Russian, English. 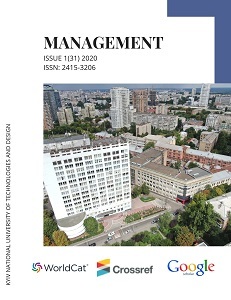 Journal «Management» — peer-reviewed, open access journal that is intended for publication of original, innovative, advanced and high-quality articles. Journal included in the list of scientific professional publications of Ukraine, in which can be published results of thesis for the degree of doctor and candidate of sciences: Order of the Ministry of Education and Science of Ukraine from 18.12.2018 number 1412 (Annex 10). Category B. Economic Sciences. Specialties: 051, 071, 072, 073, 075, 076, 241, 281. ISSN: 2415-3206. Frequency: 2 times a year. Language: English, Polish.